Fingal’s Cave, Scotland. 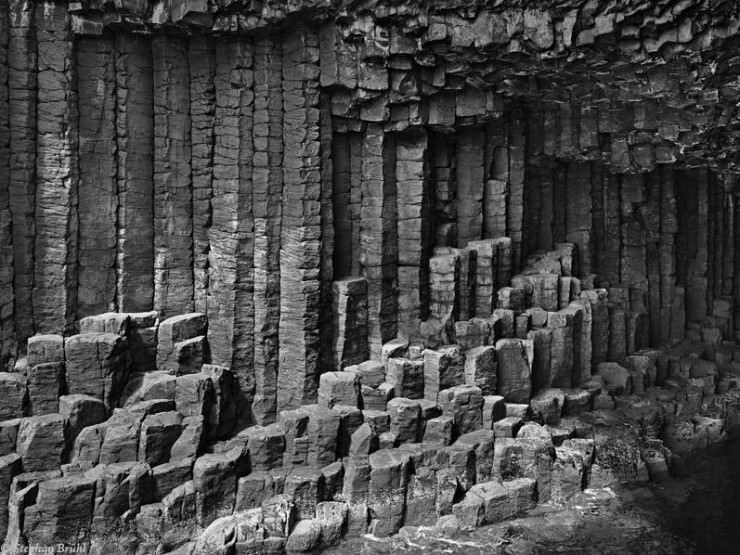 The sea cave is found in the National Nature Reserve of Scotland, on Staffa – an uninhabited island. The cave’s structure is indeed unusual: it is made of hexagonally-jointed basalt columns. The cave is the result of a lava flow. The natives call it a Melodic Cave, because of the echoes, caused by the waves. The eerie sounds create the feeling of a cathedral. It has inspired many artists, writers and composers, including August Strindberg, Felix Mendelssohn and Pink Floyd.